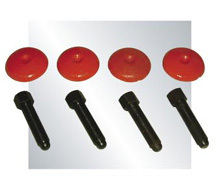 They are cast of high grade FC-30 iron, melted by advanced induction furnace, then cast in resin cores. 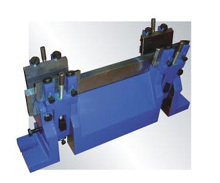 In order to ensure stability and rigidity, they are heat-treated with normalizing procedure prior to machining. 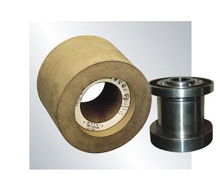 Precision ground hydrostatic bearing: Substantial decrease in heat deformation associated with hydrodynamic bearing. 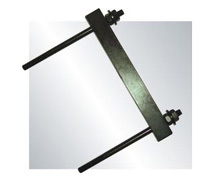 Minimal friction, lateral displacement, and pressure.Extended tool life under heavy cut loads. 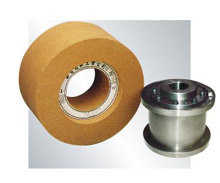 The grinding wheel spindle runs on hydrostatic bearing with high pressure oil film for added precision under heavy loads. 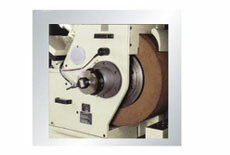 Substantially reduces wear while prolonging spindle trueness. 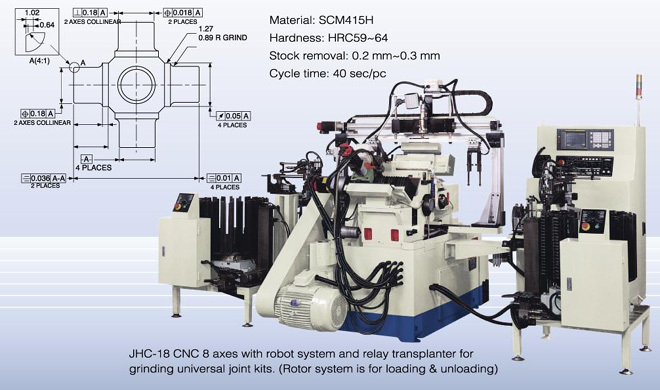 SNCM-210H carbon steel hardened beyond HRC60, Yielding high torsion resistance. 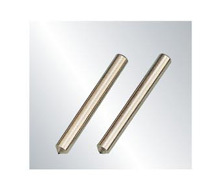 They are made of SNCM-220H Ni-Cr-Mo alloy steel and case-hardened, carbonize, then computerized sub-zero degree treated, to surface hardness over HRC62 at 1.0mm depth. 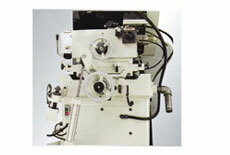 Core hardness is kept at about HRC25-30 to ensure consistency of high precision grinding operation. 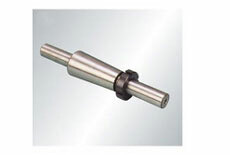 Spindle withstand high torsion and have a long and lasting life. 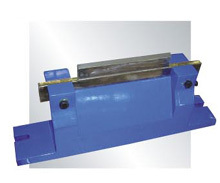 They are made of KJ-4 alloy bushing metal with a three point hydraulic cycle system. 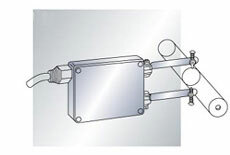 The semi-hydraulic float spindle is protected by an oil membrane which results in minimal contact friction. 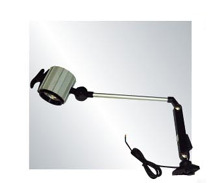 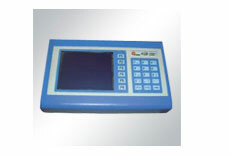 This device is specially designed for high speed and heavy load operation. 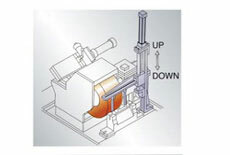 A Japanese servo motor provides control of speeds from 10 to 250 RPM., and is used for the regulating wheel which can be adjusted to ideal linear speeds. 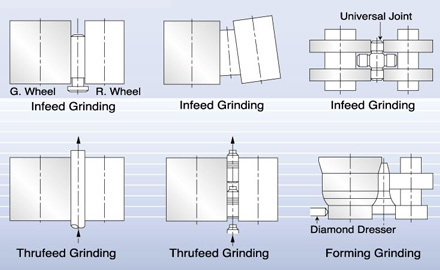 When the diameter of the regulating wheel changes the same linear speed can still be maintained so as grind the best quality products. 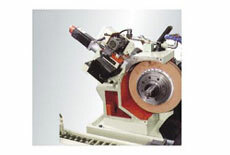 The motor is driven by a timing-belt to reduce vibration and noise. 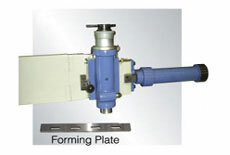 Since the motor housing and spindle housing are joined together as an integrated body, when the regulating wheel tilts the motor also follows. 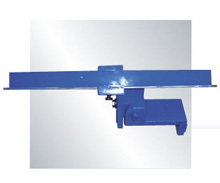 This completely overcomes problems caused by unparallelism and torsion of belt pulleys and the belts. 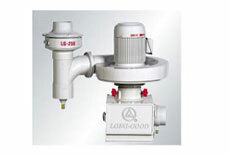 There is a variable vane type oil pump for the hydraulic dressing and enforced spindle oil circulation. 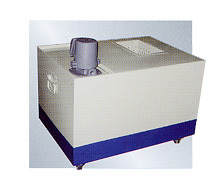 The oil tank is located outside of the machine for easy maintenance. 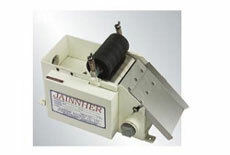 Two layers of filter plus a pressure regulator ensure the cleanliness of spindle oil and the consistency of oil film thickness, thus extending the service life of the wheel spindle and the steadiness of accuracy. 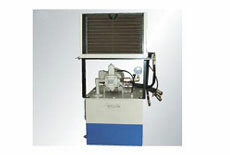 Hydraulic pump for grinding wheel head and spindle motor driver with sensing function.When press wheel start button, before oil reach alloy bearing will through pressure detect switch, if pressure is not enough, it cannot push the switch, the spindle will not start. 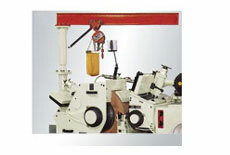 Therefore, when pressure is not enough or oil pipe blocked, pressure switch will stop the wheel spindle automatically. 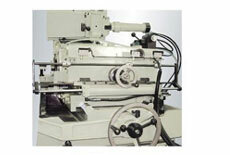 It will protect the wheel spindle and alloy bearing. 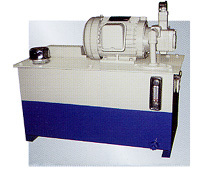 (Hydraulic pump motor 12model is 2HP, 18, 20 and 24 models are 3HP). 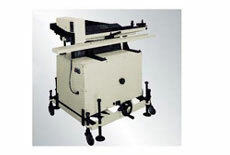 The lower slide consists of two internally mounted V-shaped slides and cuneiform protector to ensure smooth movement, stable operation and prevent the entering of debris or liquid from the working environment. 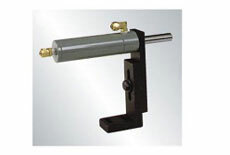 The swivel slides on a dovetail flute and swivels ±5 degrees. 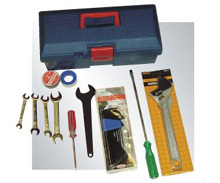 There is a fine tuning hand wheel for precise adjustment. 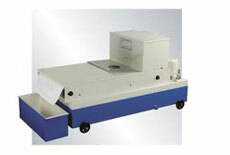 The accuracy per calibration is 0.001mm in diameter for high precision and easy operation. 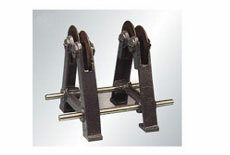 The device is made of FC-30 cast iron and normalized then precisely ground. 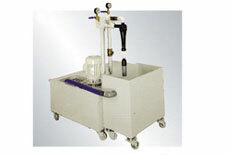 It is driven by a hydraulic system with a step-less speed regulator for easy and steady dressing. 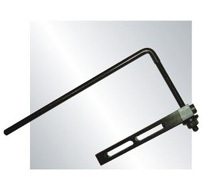 There is a safety handle for emergency purposes. 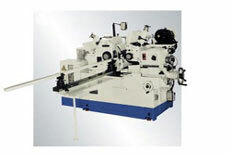 In order to upgrade the straightness and the surface finish on through-feed grinding of long work pieces, please adjust the angle of the dressing device (swivels ±5 degrees). 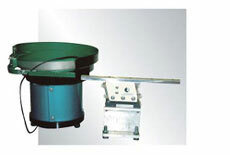 The regulating wheel should be adjusted to resemble a concave barrel to increase contact length while grinding. 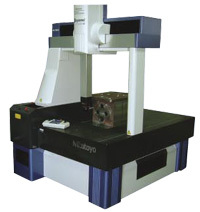 The performance of all our machines is strictly inspected for roundness, straightness and surface roughness on standard work pieces before delivery. 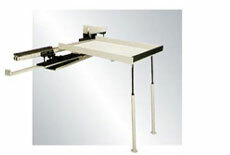 * Manufacturer reserves the right to change specification without prior notice.